The Gluten Free Maven: "Real" good food. It's November and I feel the starting gun for holiday shopping has officially gone off, although judging by the x-mas display at my Costco this August, it started earlier. Each year there is renewed pressure to get gifts for our loved ones-- many of whom assure you they really don't need anything. Of course, we are loathe to show up empty handed. I think cookbooks are a great gift, not just because they are one of my passions, but also objectively I think they are useful. People seem to always be looking for new additions to their cooking repertoire. In the case of those on special diets, I find that especially to be the case b/c they have to start from scratch and re-build their repertoire of beloved dishes. A nice touch is to prepare one of the dishes in the book and present it to your loved one in a nice pan or plate, which adds to the gift. For the next couple of months, I will be reviewing some great gluten-free gifts (couldn't resist the alliteration), in the form of new cookbooks. To start with, I am turning to some wonderful, whole foods, from scratch style books. 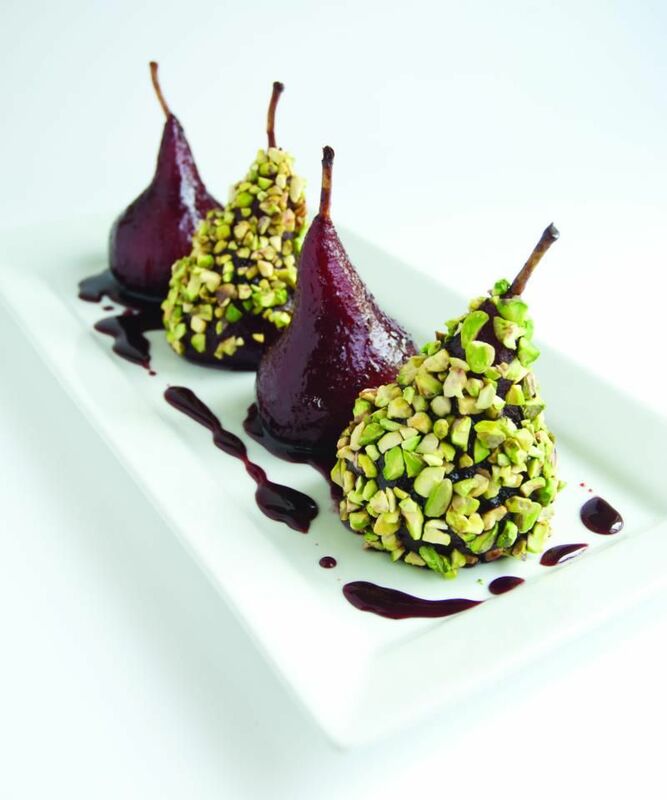 Extraordinary Vegan by Alan Roettinger presents tantalizing, yet easy to prepare vegan dishes from appetizer to dessert. 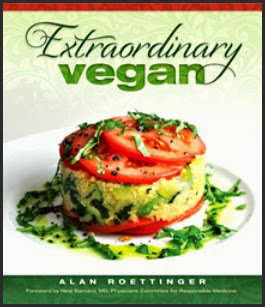 What I like very much about Extraordinary Vegan by Alan Roettinger, is the clarity of the book. Not only the myriad of attractive pictures, but the recipes themselves are clear and lead to easy preparation. For those not familair with vegan cooking, which eschews the use of any animal products including honey, it can seem foreign and daunting. But Alan Roettinger puts it easily into one's grasp. Holidays like Thanksgiving which focus heavily on an animal as the focus of it's meal, can be a challenge for vegans and vegetarians. The ubiquitous Tofurky pops up in stores (btw not a gf item), but we can do so much better for our veggie-only -eating guests. 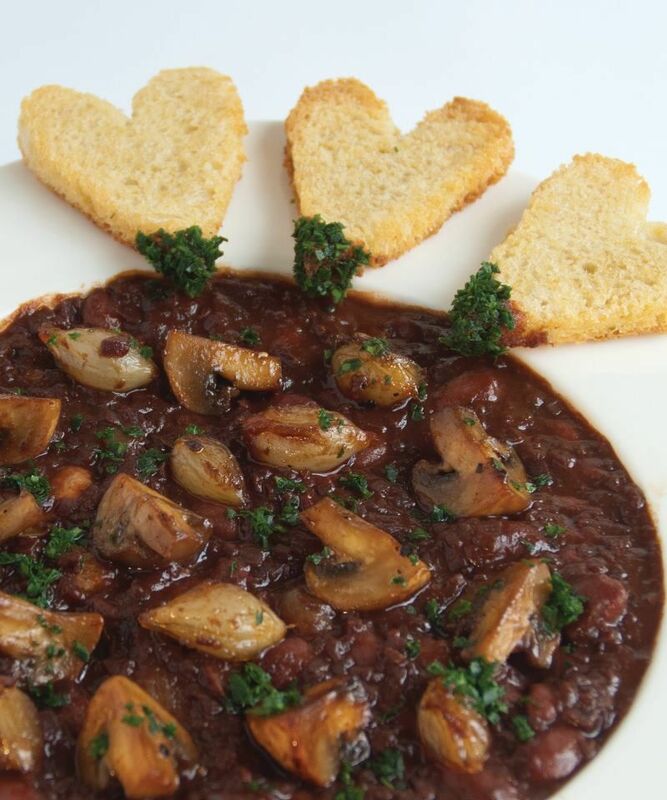 From tempting starters like Miso Broth with Ginger and Avocado Relish with Preserved Lemons, to main dishes like Rajma Dal Bourguignon. The recipes are clear and mainly a page or two at most. 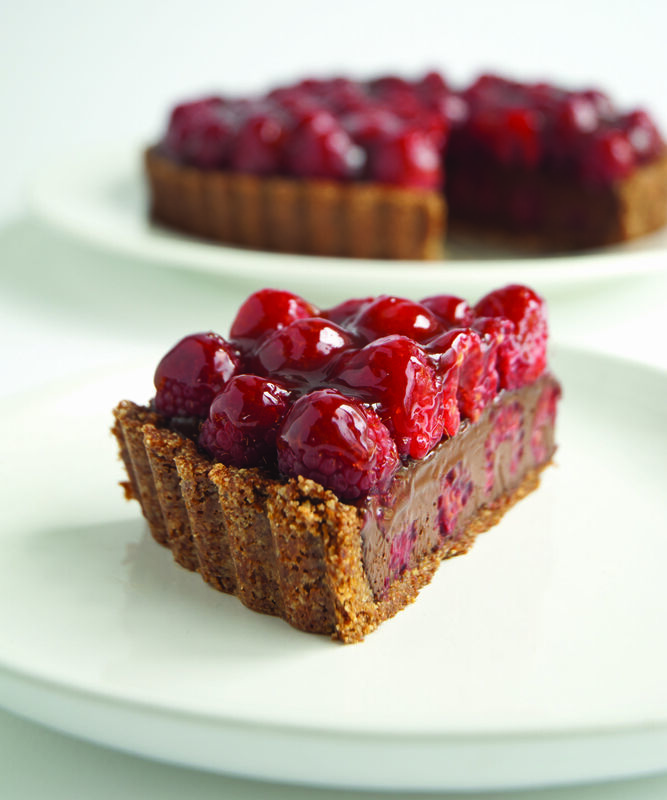 I made the stunning almond crusted Chocolate-Raspberry tart, that no one would guess was part of any special diet. I recommend A Very Different Butternut Squash Soup and Carrot-Cardamon Rice with Saffron as alternatives to traditional Thanksgiving dishes. The rice is a great gluten free substitute for traditional bread stuffing. Heat the oil in a large soup pot over high heat until fragrant, about 30 seconds. Add the onions and stir until they begin to soften, about 3 minutes. Decrease the heat to medium-high and add the garlic. Cook, stirring constantly, until the vegetables are nearly dry, about 4 minutes. Add the roasted peppers and cook, stirring frequently, for 2 minutes. Add the squash, yams, salt, and smoked paprika, and stir to mix well. Add the water, bouillon cubes, and bay leaves. Increase the heat to high and bring to a boil. Decrease the heat to medium and simmer until the vegetables are very tender, about 25 minutes. Remove and discard the bay leaves. Working in batches, transfer the contests of the pot to a blender and process until smooth. Strain the soup into a clean soup pot and add the optional saffron and hot chili powder. Season with pepper to taste. Reheat over medium heat, stirring often to prevent scorching. Serve at once, garnished with the chives. Wash the rice in a bowl with water. This must be done very gently to avoid breaking the grains. Change the water frequently, until it runs clear. Drain well. Put the rice in a small saucepan. Add the carrot juice, water, oil, cardamom, salt and saffron. Bring to a boil over high heat. Decrease the heat to low, cover, and cook for 12 minutes. Remove from the heat and fluff the grains very gently with silicone spatula. Serve at once.